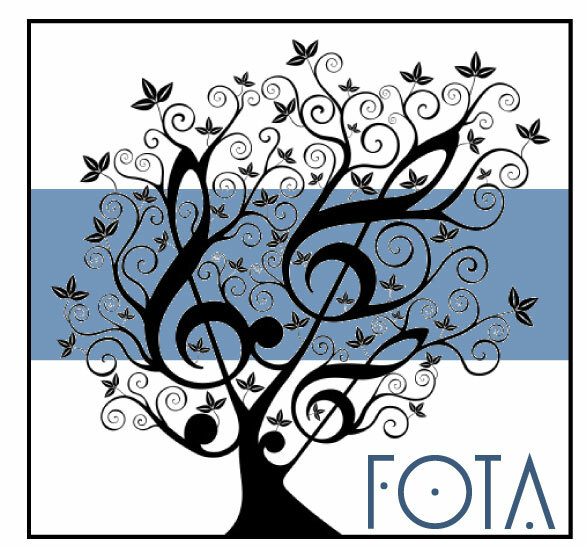 FOTA was created to provide financial, moral, and volunteer support for students and teachers participating in music, drama, and art programs throughout the school, at every grade level from pre-kindergarten through 12th grade, and the community. FOTA raises money through the FOTA Flower sale, but more importantly, with memberships. Immerse yourself completely in the art performances at FRA. Take advantage of living each and every performance through our students’ brilliance. Whether it’s closing your eyes and listening to the music, opening your eyes to the wonder of a drawing, painting or sculpture, laughing out loud at a musical or shedding a tear at a drama. To truly live artfully at FRA, it’s simple. Just be there and be moved by all the art performances throughout the year. You’ll be considerably fuller. And have lived artfully. Friday, April 26, 7 p.m.
New risers for the Middle School/Upper School Choir room. Additional microphones for the Theater Department. Additional video equipment including cameras, lenses, professional tripods and a MacbookPro for editing. A Pug Mill for the US Clay classes which will allow dried clay to be recycled. Bass, Alto and Soprano xylophones for the LS Performing Arts Department. • Slab Roller Minimight II Slab roller for clay projects for the LS Arts Department. The Lower School Dining Hall received significant audio upgrades including acoustic panels, Pro Audio Gear including multi-effects processors, cables and wireless microphones (4 total).This high quality system will enhance all events and performances held in this venue. (2 total) located in the Atrium area of the Lower School for continuous display of student visual art pieces. A Debcor clay cart provided for the Upper School Visual Art Department.It is made of heavy-gauge steel, and features welded construction on 4" casters. It is used for cooling wares after firing, or for moving pieces from place to place. It can also be used for drying greenware. • The Theatre Lighting and Console package provided has made FRA one of the few venues in Nashville with this technology at its disposal. Other venues with similar technology: Vanderbilt University, Belmont, TPAC and one or two other high schools in the Metro area. The package provided saves hundreds of labor hours and can do the job of 3 to 6 of the previous components. With the addition of the new technology, comes the added ecological benefit of consuming less energy as well as substantially less maintenance costs. • Pearl Snare, Tenor and Bass Drum Stands (10 total) provided for the newly formed FRA Drumline, Blue Thunder. FRA’s Blue Thunder Drumline in its first year consisted of ten students giving time, talent and energy. It is vital for the students to have stands to support their instruments during the majority of their rehearsal. Playing in a drumline is extremely physical and the addition of the stands was certainly needed and enthusiastically received. • Aluminum Easels, Garment Racks and Kiln Part were additional items on the Fine Arts Department’s wish list. These items directly impact the functionality of the individual arts programs as well as the entire department.